Mansfield Park was written in 1811 and 1812 and published in 1814. Jane Austen wrote to her niece that, “Pictures of perfection as you know make me sick and wicked”. Alas I think one of her favourites did make her sick and the readers too. As a teenager watching the 70s BBC TV series Mansfield Park, with my mum and dad, Fanny was not my ideal role model. Quite the opposite, she did make me sick. While I wanted to rebel, indulge in bad behaviour and run free, Fanny was the epitome of good behaviour, sensible shoes and self control. She was anything but a 70’s heroine. Nauseatingly-Nice-Fanny Pricefinds her true love after she has endured the heart ache of seeing the object of her desire, Seemingly BlindEdmund Bertram, loving a worthless woman, the sophisticated and superficial city girl, Mercenary-Mary Crawford. To make the ignominy worse for Fanny, this Mercenary Mary becomes Fanny’s new best friend. And then poor old Nauseatingly-Nice Fanny Price must further endure Mary’s brother’s attentions. The brother, Serial-Seducer-Henry Crawford, of course is a home wrecker but until he is unmasked he seems to be the epitome of good taste, good values and good actions to all but Fanny. Many people, including Jane’s sister Cassandra, have thought Serial-Seducer-Henry Crawford to be such an entertaining man that Nauseatingly Good Fanny should have married him! But this is Jane’s philosophy at work. The most entertaining man is not necessarily the best life-long partner. The Bertrams: In Mansfield Park, the rich and important family, the Bertrams, are not happy. The Important-White-Male-Sir Thomas Bertram has in his youth married a very attractive girl, Maria Ward. Her beauty has turned out to be her only attribute and she has turned into a lazy lady relying on her trophy status and thus is aptly named, Trophy-Wife-Lady Bertram. The Prices: Before we romanticise how wealth can make you unhappy, we find the exact opposite with the poor Prices. They are not happy either. Poor- Mrs Price, Trophy-Wife-Lady Bertram’s sister, had fallen in love in her youth with a young handsome naval officer. Alas the ravages of time have not been kind to this couple and 30 years on their life is characterised by too many children, too much drink and not enough money. They live in chaos and squalor and despite the romance of their beginnings, their subservience to the ideal of true love, the Poor Prices are not happy. Instead happiness is found in living the virtuous life; the life free of too much selfishness and ego and even Important-White-Male-Sir Thomas Bertram learns this lesson. The Bit Players: Again the minor characters give us a great deal of pleasure. Mrs Norris must be one of the most tightly drawn uptight women of all literature, aptly reincarnated in the Harry Potter series as a nasty cat belonging to a nasty caretaker. Nasty-Aunt Norris bullies and browbeats poor old Fanny ever so subtly. She is a masterful tyrant and one of the renowned bullies that are scattered throughout the Austen universe. She is a perfect role model for the Spoilt Princess Maria and Julia Bertramwholearn their superiority over Fanny from her. We almost feel sorry for the Stupid Spoilt Princess Maria as her punishment is to be the lifetime companion to the malicious Nasty-Mrs Norris. We may not like Maria but the readers’ sympathies are truly engaged here. Even Jane Austen seem to suggest that female infidelity surely shouldn’t be punished so heavily given that the men are always left to play the game again. Lady Bertram is not a trophy wife in the contemporary sense of the term or any Jane Austen might give it. A trophy wife is a symbol of her husband’s status or accomplishments–specifically she is a symbol of his wealth. Trophy wives are second wives, younger than their husbands and very beautiful. The trophy wife proves the man has made it because he has been able to buy what society prizes: female youth and beauty. The brute throws over the wife who helped him to his success in order to get a trophy wife who makes a better display. If men in Regency times had trophy wives, they would have been young peeresses. A man who made a lot of money would buy himself social cache buy marrying into a titled family. Maria Ward is Sir Thomas Bertam’s first wife and the mother of his children. He comes from a very old family and is important in his county. She was nobody and brought only 7000 to the match. The marriage is her coup. He married her for love and still does. Lady Bertram is ornamental; there for her looks. It is that sense she can be called a trophy wife. I had no idea that there was such a definition of a trophy wife and that by definition they must be second wives. Your point, “If men in Regency times had trophy wives, they would have been young peeresses. A man who made a lot of money would buy himself social cache buy marrying into a titled family.” is pertinent and I’m thinking now of a better title for her. The marriage is Lady Bertram’s coup but once she gets there she does nothing. He has married her for love, or love of her looks, but his idea of love seems very patriarchal. Their relationship is not one of equals – she defers every decision to him – which is excessive even in that time. She is comical as surely Austen is sending up such vacuous women. In some sense his love is reignited once their troubles humble him. Perhaps Pretty-but-Pointless-Lady Bertram but that doesn’t sum up the fact that she has been elevated to a position in society that she has not earned, that she can not even take on the responsibility of her own children yet alone the community she lives in and that the inequality between her and Mrs Price highlights the inequalities of society. Thanks so much for your comment; I will spend all day trying to find an apt title! Has anyone suggestions? How about Exquisitely Inert Lady Bertram. i can imagine sir thomas marrying fanny after lady bertram reaches her expiration date. the problem is, how will they know when she’s dead? The real reason why they kept Fanny Price at Mansfield Park: a few times a day she holds a mirror under her aunt’s nose to make sure she’s actually alive. Exquisitely Inert certainly works! But I need the trophy aspect. I can’t imagine Fanny remarrying Sr Thomas – she has better taste! Exquisite sums up the trophy-like aspect of her beauty and marital achievement. And her refined brittleness. Still, i think the bloom is off her trophyness because she’s antisocial, she won’t go London and rarely mixes with her neighbors. What good is a trophy you can’t display? Sir Thomas may fancy Fanny, but Fanny would flee from his flirtations. 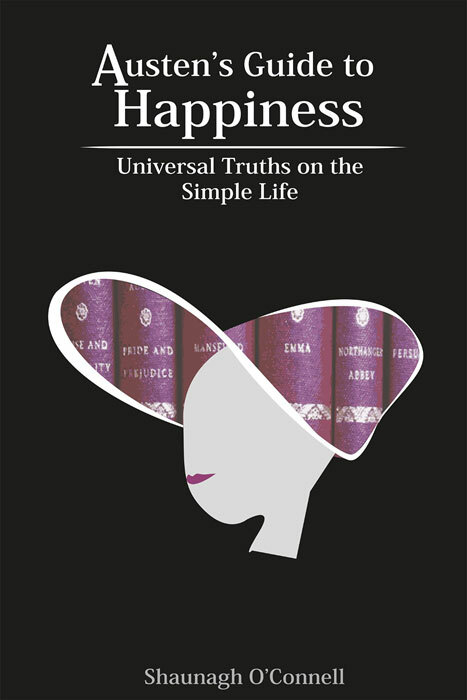 Thanks for finally writing about >Mansfield Park | Austen’s Guide to Happiness <Loved it!